I so look forward to the holidays, but the last half-term was a huge disaster, so much so that I couldn’t bring myself to blog about it. The big hairy northern one was away, the little irish granny I found in Tescos was ill, and I still had some work to do, despite it being half term. It ended up in a spiral of increasing stress and shouting. The biggest low point was when a 15 minute blog post took me 1.5hrs, not because of Little Dimples (16 months) but because of the Curly Headed Boy (5 1/2yrs)! So here are my top tips for having a fabulous summer holidays, the prime rule being ‘Prepare, Prepare, Prepare’, just like you would for a big work project! My focus is on making sure that by the end of the summer holidays I have a couple of months of lovely memories, because I know that from September I’m going to be much busier with work, and Little Dimples will probably need to start nursery. 1) Time out before hand: Make sure you have scheduled some time out, pampering, rest or relaxation for yourself before the holidays start, so that you can be in the best frame of mind. I did this before the previous holidays and they were much more successful, whereas I went into the half-term frazzled. 2) Organise some time out during: You will need some during the holidays too, because it’s a LONG TIME for the summer holidays! 3) Make Space: Make sure that your house is ready too. I know that it will quickly end up in a chaotic mess, but at least start out with enough space for the kids to play. Check out my Top seven tips for how to get decluttering. Plus, set the kids expectations that at some point during the holiday, they will need to get involved in a mega tidy up too. 4) Reorganise the space: Have a good look at the rooms that you tend to spend the days in and look at the flow. Is it easy for the kids to find things and keep themselves occupied? Is it easy for them to put things away? Is there space for them to play lego/building/cars/dolls/dressing up? 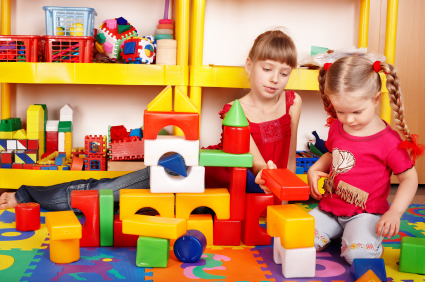 Check out my Top seven tips for organising a playroom. 5) Make simple reminders of what there is to do: When I’m tired, I often forget about all the fab things the kids enjoy doing, so I literally make a list (yep, I can be a bit ‘doh’ when tired). You can put stickers on the drawers or cupboards to remind you and the kids what there is to play with, or make a list. Of course if your kids are young you might have to draw pictures; infact this could be one of the activites you do on the first days with the kids and get them to draw their own pictures of what they would like to do during the holidays. 6) Plan your budget: Plan your budget, work out what you can afford, and explain it to the kids. This will be your easy explanation for no ice cream every day, and no toy every time you go shopping. Plan ahead for some treats, so that they know there will be special things to save for. (Curly Headed Boy has been saving his weekly ice cream for our holiday away, so that he can have one every day. Fair enough it doesn’t pay for the flights, but I thought that it would give him some perspective!). Remember that there are simple things that kids love to do which don’t cost any money, like picnics or going to the park. 7) Get some holiday books and activities: I’ve had a big splurge on usborne books, who have a brilliant range for the kids in the holidays. I bought ‘365 things to make and do’, ‘Lots of things to draw’ (my favourite, because it shows how to draw the pictures), sticker books to remind him of the maths and english he learnt during reception, ‘100 games to play on holiday’ (cards), ’50 things to do on holiday’ (cards). Now if you fancy something like this, my gorgeous mate is an usborne book seller, and here is a link to an event she is organising on Tues 19th July for Mums who don’t have time to sort their own coffee morning out (This is not a sponsored post). Of course you don’t need to buy anything, there are fabulous craft blogs, my favourite being RedTedArt. Remember, preparation is vital. But if it all goes pear shaped, take a pause, check out my dealing with exhaustion posts and then start afresh the next day. Love all your tips. Just perfect. Free craft is great when you are home. However, should you require things to keep the children amused on a journey: planes, trains, cars, restaurants, doctors etc, it’s always handy to have something small (with it’s own wipeable pen) you can whip out of your bag to buy yourself some time! good point Lisa – I probably need to do a top tips for travelling too! In this post you are provide good tips on how to ruin your summer holiday. In other words do the complete opposite! Hmm, that must be one of the weirdest comments I’ve ever got!